Starting from the bottom and working my way up, I can see that a command was issues to bring the s database ONLINE. The very first thing that occurs is the request is written to the error log. Then I see that the database is in the stopped state. Next a message that the database is starting up (because it was stopped). Then we see two events for object_altered (similar to the default trace) due to the begin and commit phases of that transaction. After that database was brought ONLINE, you can see that I immediately took s back offline – starting with the errorlog event, then a stopped event and the object_altered begin and commit events. 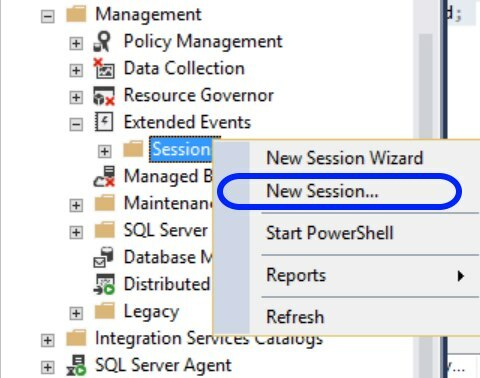 Not long ago, I wrote a rather long article about a new-ish feature within SQL Server Management Studio (SSMS) that impacted Extended Events. You can read that book – here! The XEvents Profiler feature is one of those things that you may or may not use. If you consider using the feature, I do believe it is important that you research it a bit and try to learn the pros and cons first. With that there is a little more about the feature that the aforementioned book did not cover. In fact, this information has pretty much gone ignored and mostly stays hidden under the covers. As of SSMS 17.4 we have been given the ability to control XEvents Profiler just a tiny bit more. 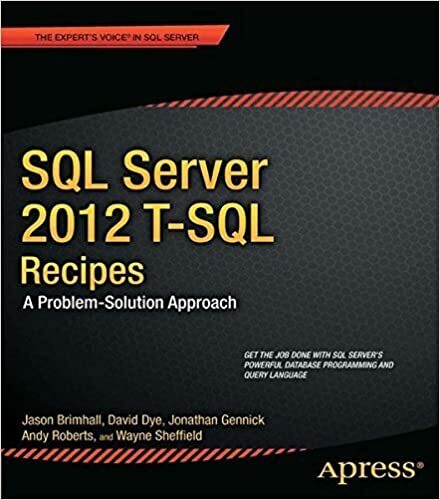 For what it is worth, we as Database Professionals love to be able to control our database environment. So this teeny tiny bit of new control ability is potentially a huge win, right? 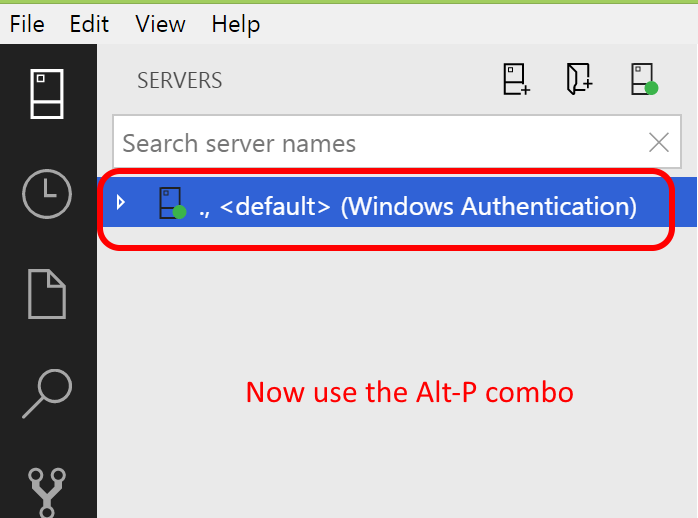 If you are the controlling type, or maybe just the curious type, you will be pleased to know that under “Options” from the Tools menu in SSMS, Microsoft has tucked some new control options to help you configure XEvents Profiler – to a degree. If you open options, you will see this new node. If you expand the “XEvent Profiler” node (circled in red), you will discover the “options” node. 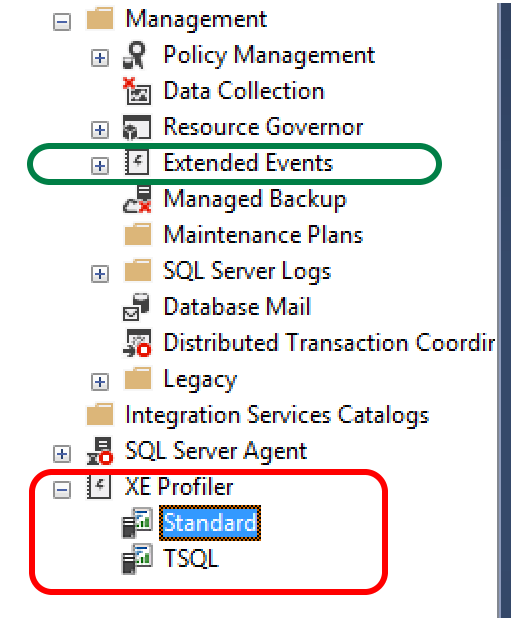 If you click on this “options” node and do a quick comparison (in SSMS 17.4 and SSMS 17.5) you will also find that you don’t need t expand the “XEvent Profiler” node at all because the options are listed in the right hand pane for both nodes and they are exactly the same. So, choose one or the other and you will end up at the same place. You can either set these options to True or False. I recommend you play with them a bit to discover which you really prefer. 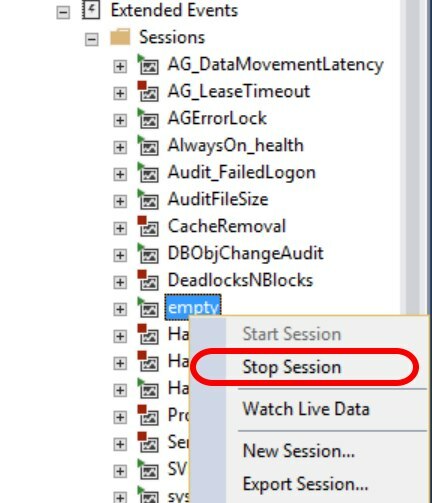 That said, I do prefer to have the “Stop Session on Viewer Closed” set to true. There is “profiler” in the name of the feature afterall. 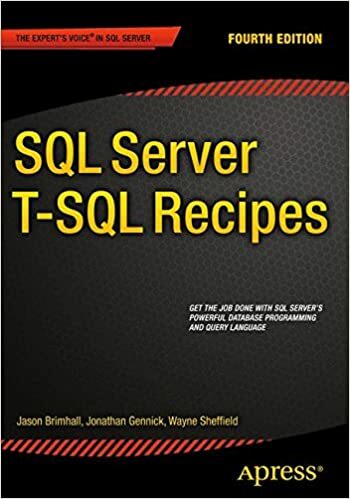 And if you have read the “book” I wrote about this feature, you would know that the filtering offered by the default sessions of this feature basically turn on the fire hose effect and can have a negative impact on your server. Are you sure you want a profiler style fire hose running on your production server?